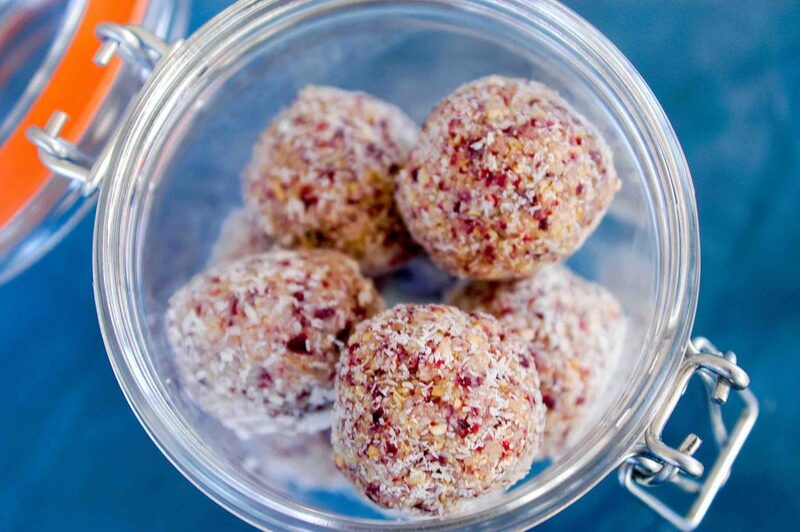 These Cashew and Cranberry Truffles make a great Christmas gift and taste so good you’d never know they were healthy! Christmas is a time for a little indulgence, right? And while there’s absolutely nothing wrong with a bit of plum pudding or a mince pie to get you feeling festive, we all know that indulging too much can leave us feeling pretty average when the 1st of January rolls around. 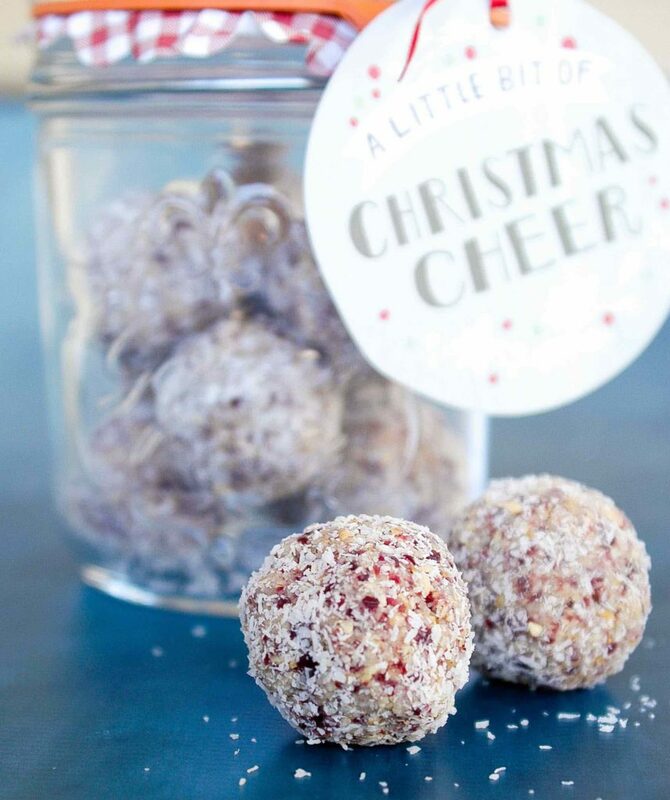 These Cashew and Cranberry Truffles provide the perfect compromise – festive and indulgent, while also being good for you. They make great presents too – lets face it, most people don’t really want to be given another box of chocolates or miniature plum pudding at Christmas, but these are a gift they’ll actually thank you for! They contain no added sugar (although for the sake of full disclosure, dried cranberries do have some sugar added!) and are full of oats, nuts and dried fruit so they have plenty of protein to fill you up, some low GI carbs to keep blood sugar levels steady and plenty of vitamins and minerals. And as an added bonus they look like cute little snowballs! Process oats, cashews, cranberries, coconut and lemon rind in a food processor until fine. Add skim milk powder and water and process until mixture comes together in a ball (add a little more water if you need to). Spread extra coconut over a large plate. Roll mixture into balls just slightly smaller than a golf ball, then roll in coconut. The addition of skim milk powder helps to increase the protein content without using protein powder and gives the truffles a really nice sweet and creamy flavour without adding sugar. You can leave it out if you prefer but I do think they're much more delicious if you include it. Instead of the skim milk powder, could I use 2% milk and water it down a bit? Hi Sheila, you could just leave the milk powder out all together, it will still be fine, just a little less sweet!